People ask me all the time why I’m so excited about Google+ as a marketing tool. After all, it doesn’t (yet) have anywhere near the user numbers of social media juggernauts like Facebook or Twitter. Doesn’t it just make sense to go where the numbers are? When I hear that I stop and wonder if it’s really 2012. Broadcasting to the big numbers was the way to go for the Mad Men of the 60s, but savvy marketers like Seth Godin realize that these days it’s all about the tribes we lead. In other words, if you can connect with a smaller group of people who are passionate about what you’re selling, you don’t need to fire a shotgun at big crowds. This brings me back to why I’m such a Google+ evangelist. I haven’t seen anything anywhere any time so readily available to anyone and everyone that can help you find and connect to your tribe as powerfully as can G+. Why? It’s because of the unique and integral connection of G+ with Google search. This is the secret sauce that so many social media gurus out there totally miss when they pass over G+. Maybe it’s because I come to social out of a background steeped in SEO (search engine optimization). I understand that as powerful as social media is for direct communication and engagement, it’s in search that the right new people find you. When people search they are in a state ofintention. Google+ head Vic Gundotra called search “commercial intent.” People are looking for something they want to know/get/acquire/connect-to, and you have the opportunity to get your message right in front of them. I’ve written elsewhere about the powerful influence of Google+ on Google search. In this post I want to share with you three new features of G+ that will only enhance and expand this ability to reach into and influence search results. At the time of writing of this post, this one is hot off the press! Earlier this week Google announced its latest innovation to its search engine: Google Knowledge Graph. Knowledge Graph is both a new way for Google to find information and a new way to connect searchers to that knowledge. 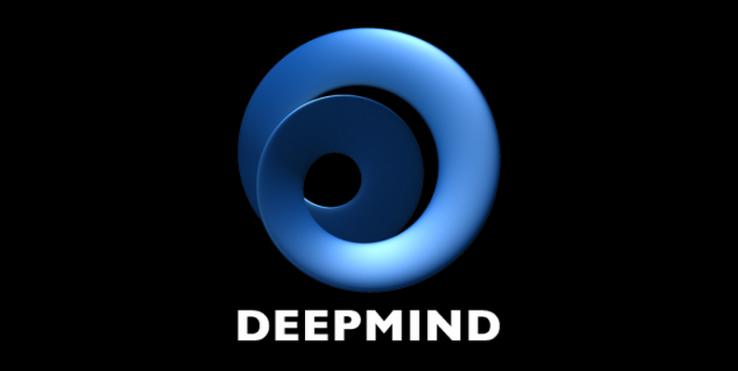 Basically, Google is using advanced semantic and natural language technology to build algorithms that learn from real humans using Google to recognize the connections between things the same way those humans do. For example, if you search “Eiffel Tower,” the old Google could only connect you to pages that mentioned those exact words, and/or were linked to by pages that did. But Google Knowledge Graph can learn that the Eiffel Tower is a structure, and that it’s in Paris, and that it was built for the 1889 World’s Fair, etc. More and more when someone searches for something, if Google suspects they are looking for knowledge about that thing, they will see a Knowledge Graph box in the right sidebar (see illustration). The box provides quick facts about the subject and thumbnail links to related searches based on the behaviors of other searchers for the same topic. One thing more though: if the topic can be related to a brand or person on G+, the Knowledge Graph box will also show some of that brand or person’s lastest public posts, along with a link to their profile. If Knowledge Graph is active for you (US only at this writing, but it will expand), try a search for “Barack Obama” to see this in action. Take away for marketers: Brands and content producers with strong profiles on Google+ will be in a front runner position as Google begins to expand the reach and scope of Knowledge Graph. I firmly believe that recent additions to Google such as author verification will help Google make these Knowledge Graph connections, so those with web content properly connected to a Google+ account will be the first to be indexed and show up. Imagine owning a whole sidebar of Google search! Enhanced listings are only showing for a limited number of brands now, but they will certainly be expanded in the future. By the way, the listings show up whether or not the searcher is logged in to Google, so they are not personalized results. Take away for marketers: Obviously you need to have a G+ brand page to be eligible for these enhanced listings. It is reasonable to assume that the more active and well-followed pages will get the feature activated first. Also, be certain your page is properly verified with Google! Google+ Hangouts have been one of its most popular and highly-praised features. A Hangout is a live video chat for up to nine participants. Even with that limitation (and is it fair to call it a limitation when it is bigger than most other chat programs? ), many brands found ways to make use of Hangouts to give at least small groups of followers that “face time” experience. Then late last year Google introduced “Hangouts On Air” (HOA). While an HOA is still limited to nine active chatters, it can be broadcast in a G+ stream so that an unlimited number of people can watch it. This enables endless possibilities, such as virtual product demonstrations, panel discussions, and even rock concerts (yes, it’s been done, with huge attendance). And that’s not all, as they say in the infomercials! HOA sessions can be automatically archived as a permanent YouTube video on the person or brand’s YouTube channel. The only sad thing about HOA was that for months it was available to a very limited number of users and brands. That changed last week when G+ announced that HOA is being rolled out to all users and brands. If you don’t see it yet in your profile, you soon will. You’ll know you have it if when you initiate a Hangout you see an “Enable Hangouts on Air” check box. In a future post I’ll go more into detail about Hangouts, and provide some examples of their effective use by brands on Google+. Take away for marketers: Hangouts on Air will richly reward those who can come up with creative and enticing ways to connect with their followers and potential customers. For example, some brands have already started Hangout “shows” with a regular panel of experts that are broadcast on a regular schedule, just like a TV program. The auto-archiving to YouTube is where the search connection comes in. Every Hangout On Air you do becomes another “page” on the web where you can be found, especially as YouTube is being increasingly integrated into Google’s social search. Pro Tip: If you manage multiple pages, getting your Hangout On Air archived on the right YouTube channel can be a little tricky. See “Connecting Your Hangouts On Air to Existing YouTube Accounts” for instructions. 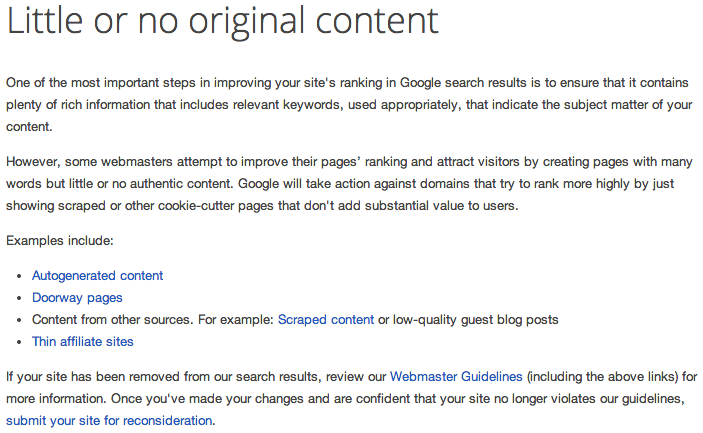 Low quality guest blogging is considered little or no original content by Google. Brian Ussery first spotted this change, noting how Google has been fighting the use of guest blogging and posting around link building. Specifically when Google’s head of search spam said guest blogging is done for SEO purposes. Since then, Google has penalized several guest blog networks and continues to set their targets on low-quality guest blogging that aims at manipulating their search results.